As I was editing the photos for this post, a friend of mine posted on Facebook about the 25 lbs of garlic he was getting ready to plant. 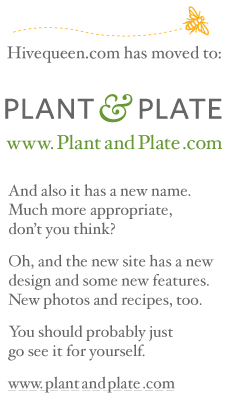 That's about a thousand plants. 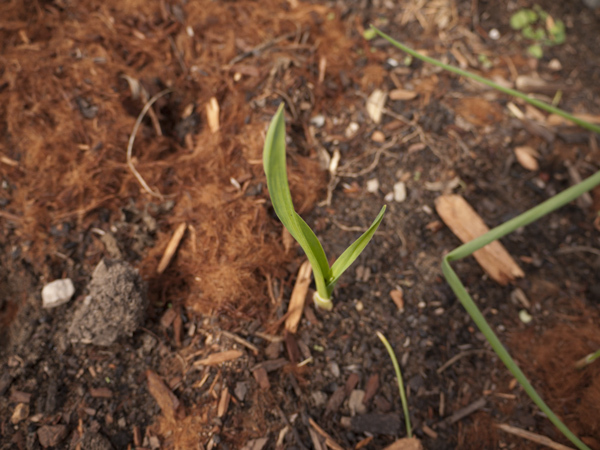 My garlic patch has maybe three dozen plants. This is the difference between gardening and farming; the difference between growing something for variety and growing it to supply your next year's needs. That, and a few orders of magnitude of labor. Still, I'm pleased with my garlic. I've got three different kinds going, and they should be ready for harvest next summer, assuming the squirrels don't dig them all up first. Per my usual method of choosing which varieties of plants to grow, I went to the nursery and bought one of each kind they had in stock that day. 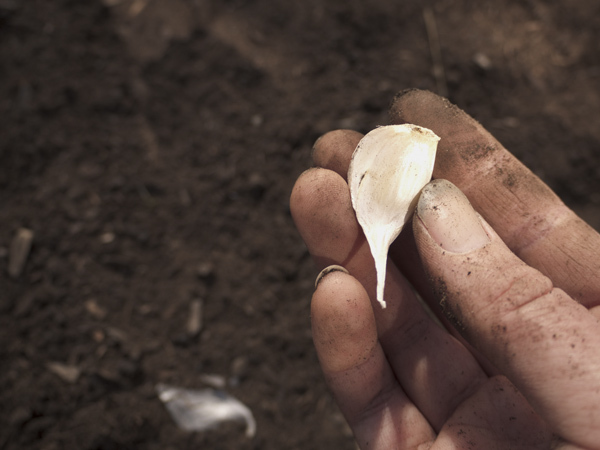 You can plant most supermarket garlic, but those varieties have been selected because they grow well wherever the garlic farmer is located and because they hold up well during transit to your local store. Your local nursery, on the other hand, should carry varieties specifically chosen for your local conditions. This is not to say that you should just throw away the supermarket garlic cloves that have started to sprout little green shoots from their pointy ends. You can plant those ones around your rosebushes to repel aphids. I am not entirely certain that this is actually effective, but it's a lot less messy than that homemade aphid spray you make by putting garlic and soap and chili peppers and water in the blender. For locals, the garlic is growing to the far left of the vegetable beds, between the trellis and the stepping stones. 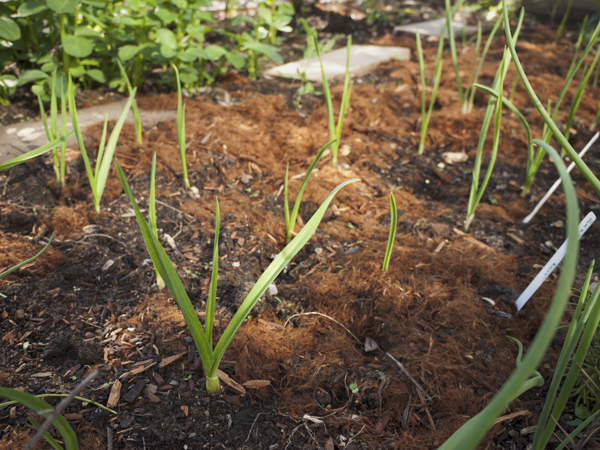 There are also dozens of onions of different varieties growing all over the place (another attempt to repel deer). If you have small children with you, this would be an excellent opportunity to point out the similarities and differences between garlic (Allium sativum) and onions (Allium cepa). All grown by Irish Eyes Garden Seeds, purchased at Berkeley Horticultural Nursery.